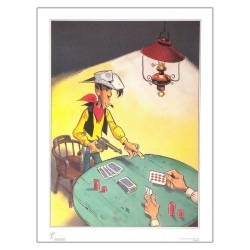 Poster offset Equinoxe Lucky Luke. Offset printing on steinbach paper, 60x80cm. 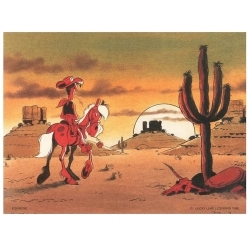 Lucky Luke Mirage. 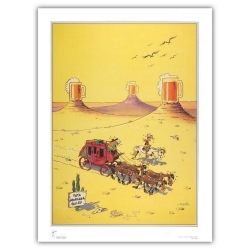 Poster offset Equinoxe Lucky Luke. Offset printing on steinbach paper, 60x80cm. Lucky Luke Mousetrap. Poster offset Equinoxe Lucky Luke. Offset printing on steinbach paper, 40x30cm. I'm a poor lonesome cowboy. 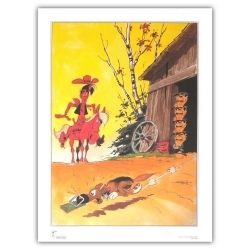 Poster offset Equinoxe Lucky Luke. Offset printing on steinbach paper, 80x60cm. I'm a poor lonesome cowboy.